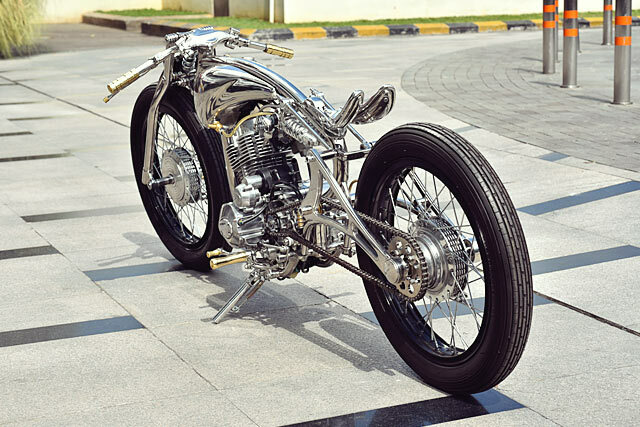 I’m trying to figure out the point when Indonesia stopped being a destination for drunken Australians to embarrass themselves in and started being about incredible little custom motorcycles. It might have been when Deus opened a store in Bali, or it may have been when more Aussies started getting locked up for drug offences. 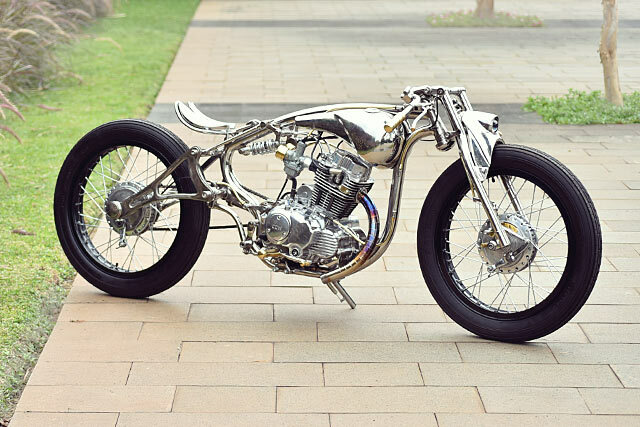 But whatever the reason the result of a burgeoning custom scene are bikes like this one – an amazing lil’ Cleveland CycleWerks boardtracker made by Indonesia’s Kromworks. The custom scene in Indonesia is nothing to be scoffed at. 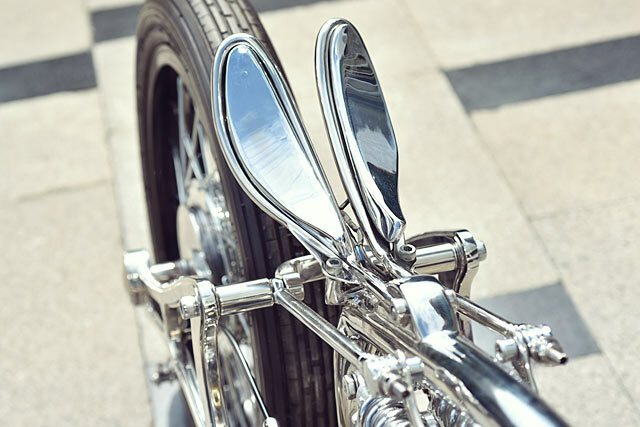 We recently spent some time in Java for Kustomfest, a gathering of mad minds from across the Indonesian archipelago and increasingly, the rest of the world. 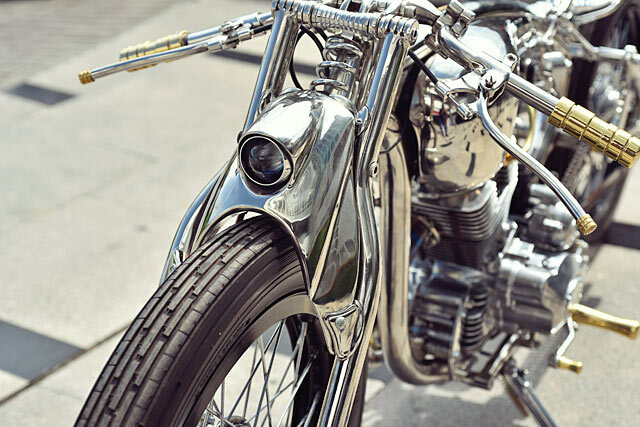 A walk around the show reveals some astonishing motorcycles – there’s more creativity in one square metre of Kustomfest than an entire acre of sad fat customs at a US cycle show. And that’s how we ran into Andika Pratama, head of Kromworks, who took home the ‘Best Kustom Bike’ gong with this exceptional little ride. And believe us when we say that there was some damn stiff competition for the title. I may have put money on Kromworks taking home an award anyway. They do fantastic work. So much so that Cleveland CycleWerks Indonesia have been working with them to create some plug ‘n’ play parts for their fledgling line up of small displacement singles. 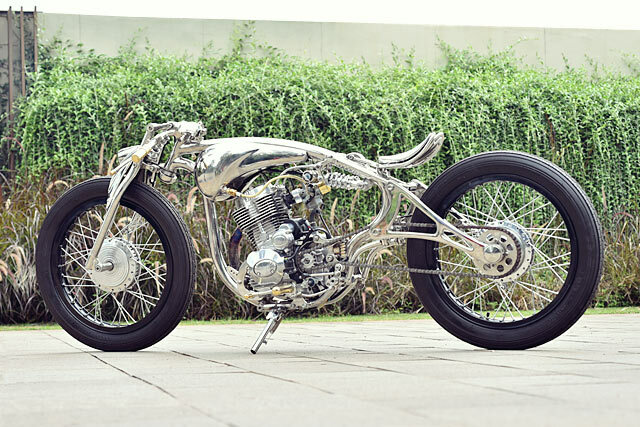 CCW wanted Kromworks to create a showcase of the bike itself. Which they have… by modifying just about everything but the engine. 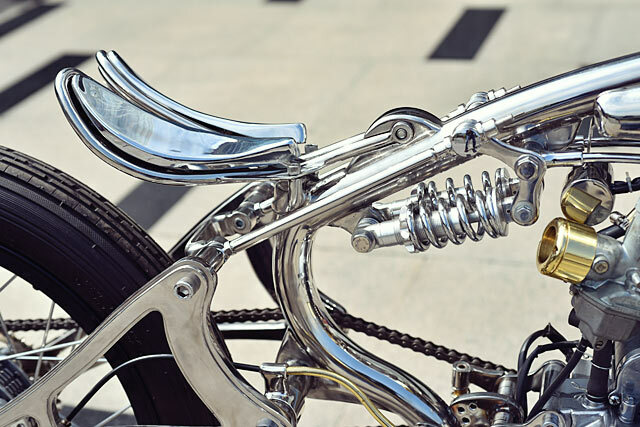 ‘The first thing I designed was the flow between the frame backbone and the swing arm,’ he adds. 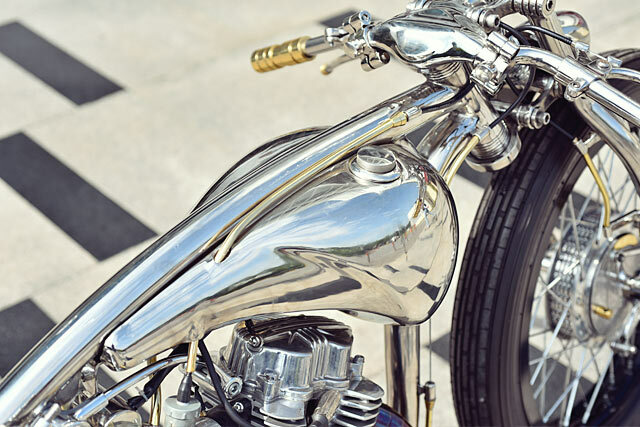 ‘Making a frame with stainless steel as opposed to other metal is harder – and welding it is quite the challenge in itself.’ After much cutting and shutting and welding, grinding and cursing Kromworks turned their attention to the tank. The two-part fuel tank is essential to making this little Cleveland CycleWerks look so impeccably clean. There’s a bunch of space between the tunnel and tank itself, allowing for all the electronics to be tucked hidden away inside. Take a good long look at the bike. 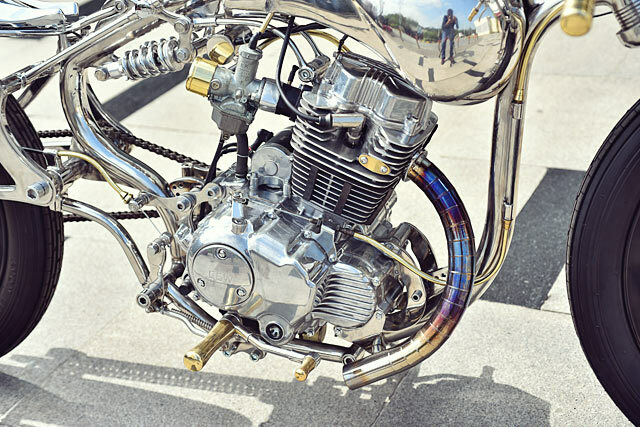 There’s a clutch cable and a throttle cable visible but nothing in the way of wiring showing. 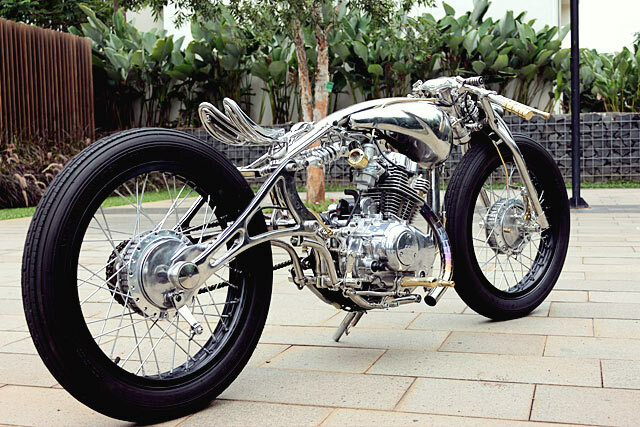 The whole motorcycle has been created using 316 stainless steel, which was polished and left raw. 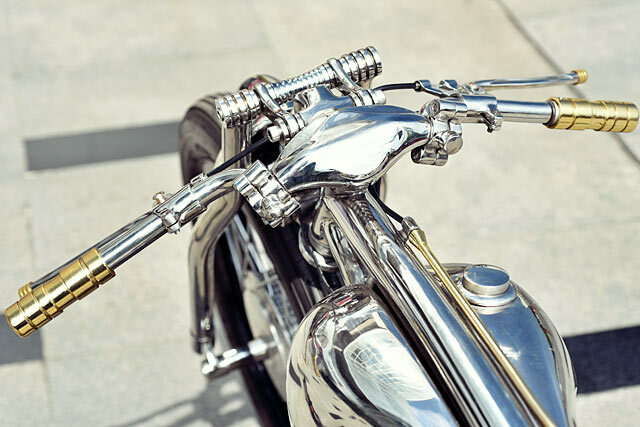 There’s plenty of neat little details scattered throughout the bike, but three things make Andika feel particularly proud. ‘I think the head light, swing arm and front suspension are the things I’m proudest of,’ he says. ‘I made them all by hand, without using a CNC machine or anything like that’. That’s damn hard work. 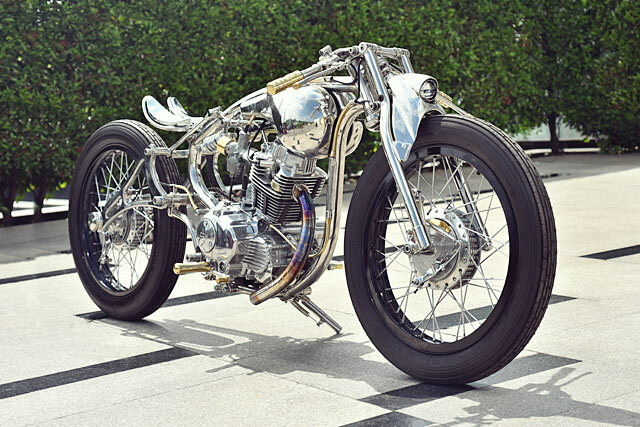 The end result of all that crafting is an incredible little custom ride that shows what can be done with a simple, fun little 250cc from Cleveland CycleWerks. That the ‘28’ took out the top title at KustomFest is no surprise for anyone who was lucky enough to see this gorgeous little thing in the flesh.